Looking for a fun stitch to learn? This may be it! This tutorial will teach you how to crochet a cluster stitch that will create a single crochet cluster stitch! Ready to get started? Read on down for the full free tutorial! 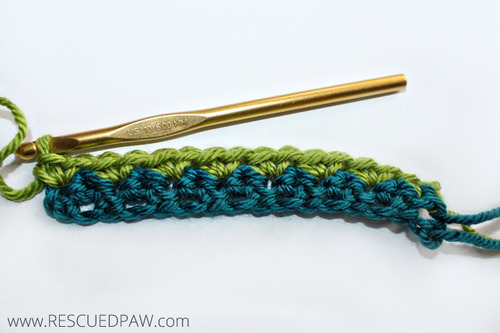 For this crochet stitch tutorial I used Red Heart Soft Yarn in Guacamole and Teal. You can try any color combination and still get the same results! This stitch would look great in a blanket, scarf and even a hat! The possibilities are endless with this fun stitch! 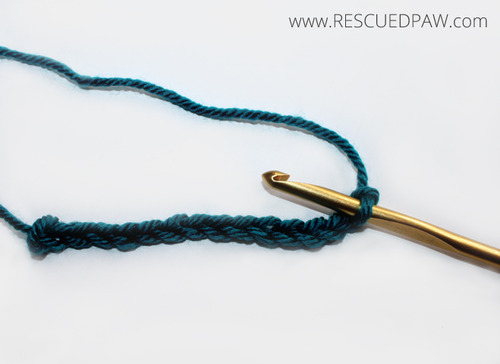 You will also need to have a crochet hook that corresponds to the yarn you are using, scissors and a yarn needle. Ready to get started? 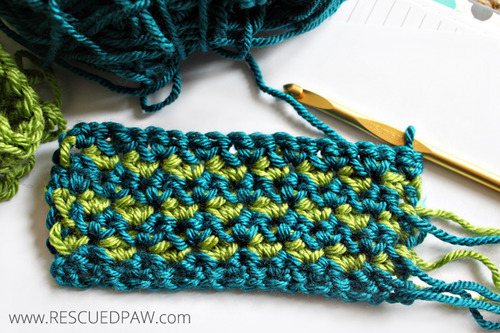 Read on down for the crochet cluster stitch tutorial! NOTES: My tutorial is with different color yarns, but you can do the same color until you get the hang of the stitch. You can get some help with changing colors here. KEEP GOING: Continue repeating Steps 3 & 4 until desired length is obtained and remember if you do switch colors you will have a lot of yarn ends to weave in. That’s it! You have completed the single crochet cluster stitch! If you would like even more free tutorial and crochet pattern follow along with me on Social Media! I am always pinning crochet projects and tutorials from the Internet on Pinterest so please come check me out by following me HERE and you can always find me on Facebook HERE. 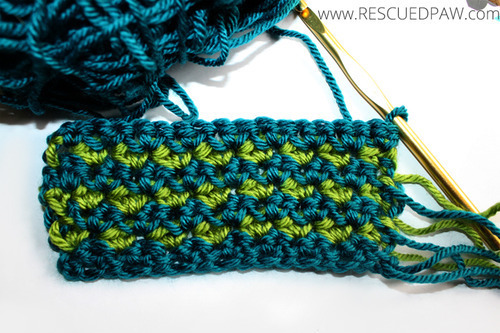 Thanks for trying out this easy crochet cluster stitch! Thanks for the great tutorials . Big help for beginners like me. I’d love to make a scarf with this pattern. A quick question – every time I change color, am I supposed to cut the yarn off? Thanks!